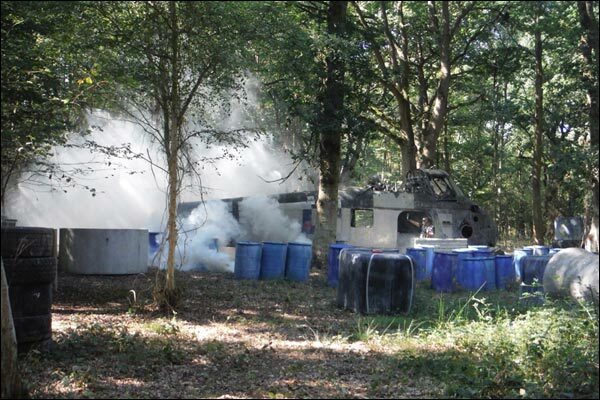 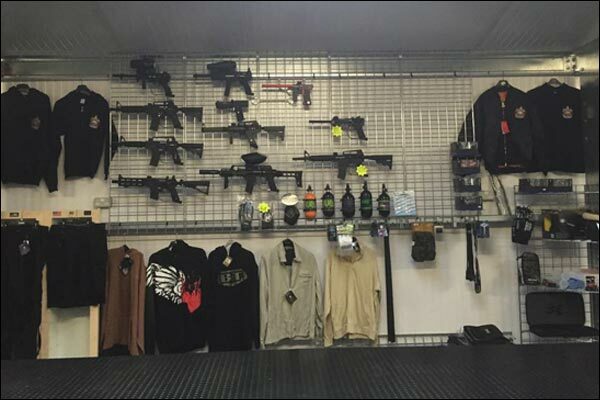 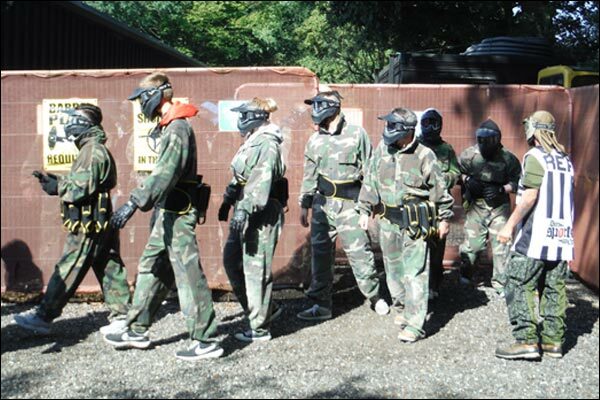 Gunsmoke Paintball is a family run business owned and operated by Andy and Julie Wright. 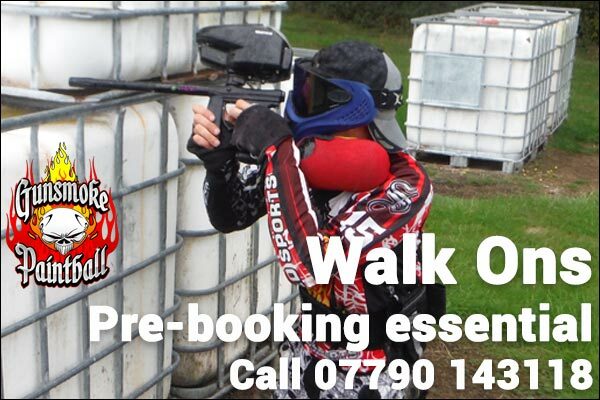 Offering a variety of challenging game zones to suit all player abilities. 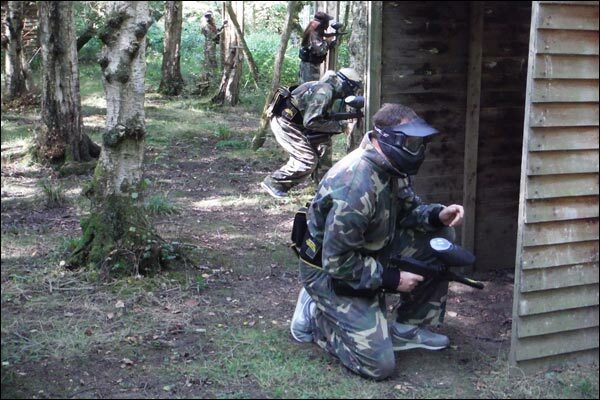 We cater for individuals, corporate companies and groups, private parties and walk on/rental players. 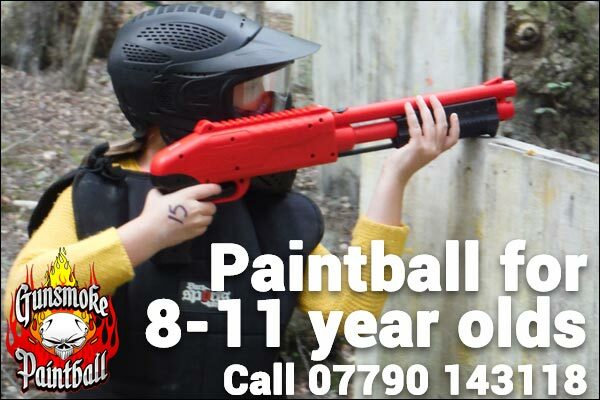 For 8 to 11 year olds we have Gunsmoke Splatmaster Kids which is low impact paintball using splatmaster pump action markers. 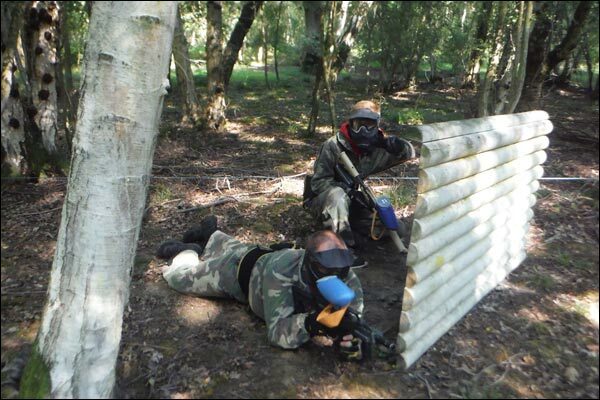 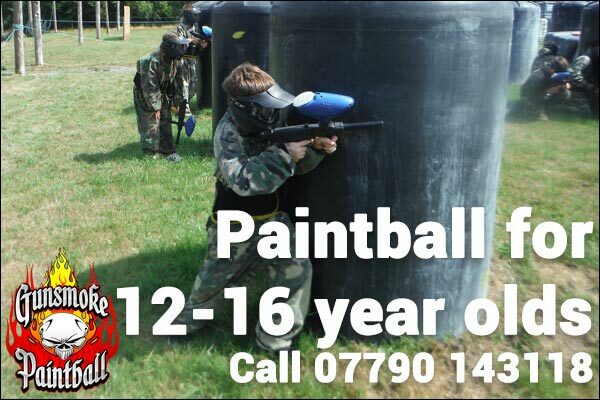 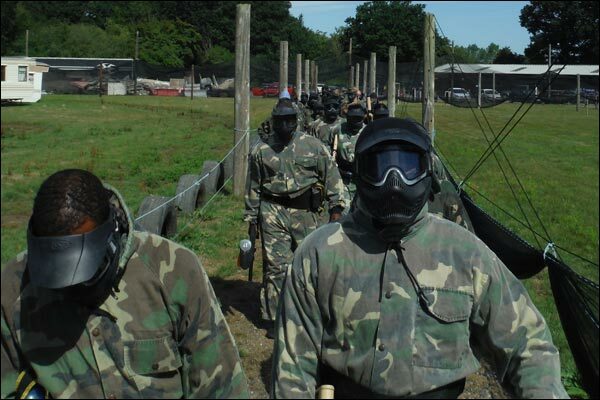 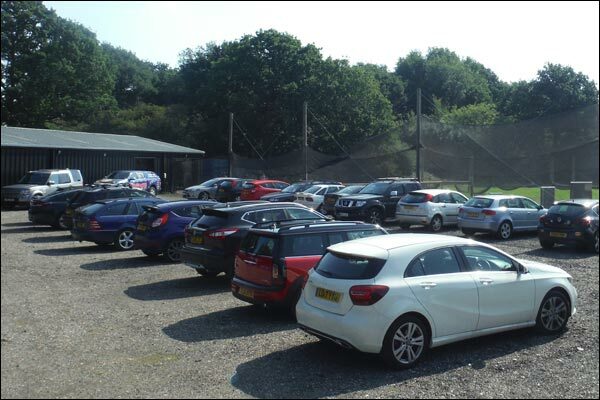 For 12-16 year olds, there is regular paintball and at a special rate (must be over 12 years old to play) and also walk ons and rental players on the last Sunday each month (pre-booking is essential). 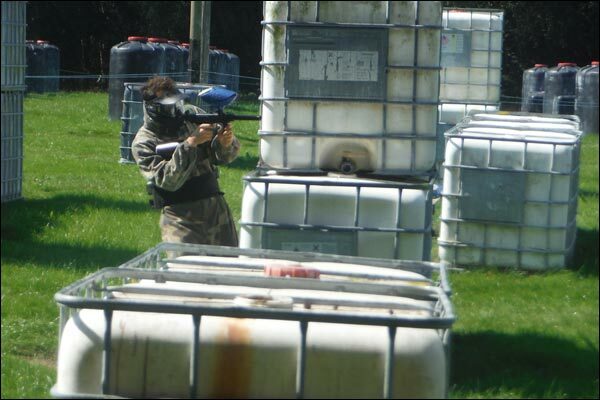 We aim to offer you the best paintball experience in the area, as well as being one of the cheapest on paintball prices, we only use good quality paintballs. 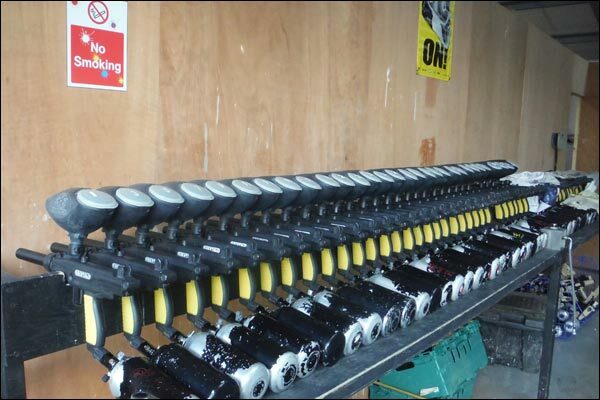 Our equipment is serviced on a regular basis and kept to the highest of standards. 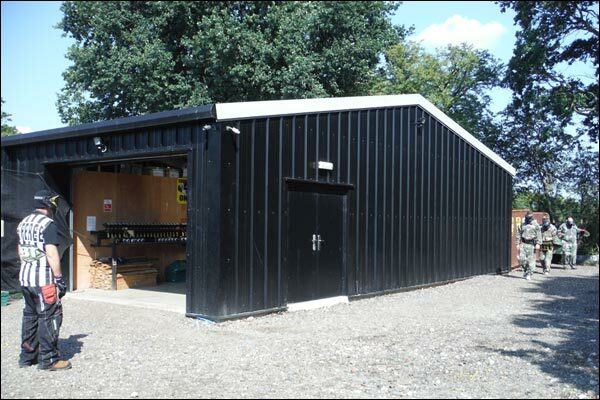 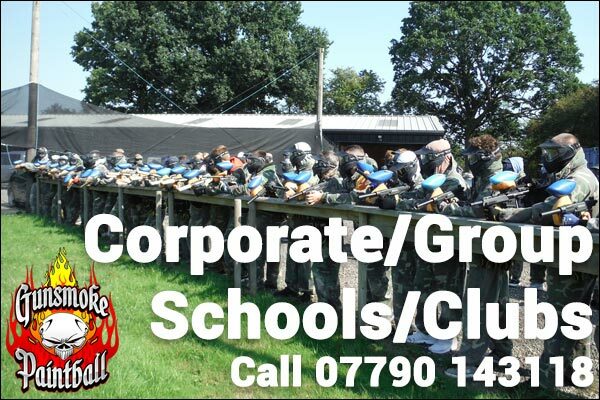 The site is also council approved for Schools, is fully insured and has a 100% safety record. 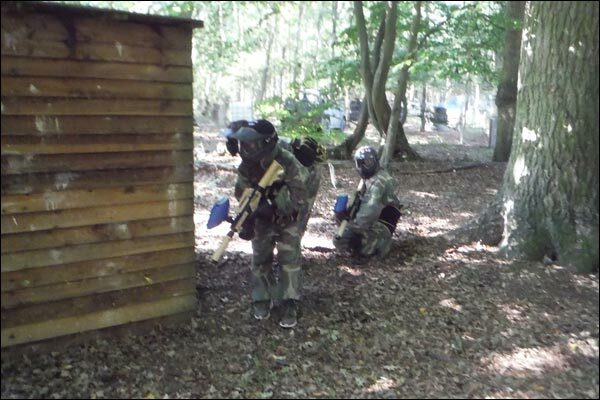 We pride ourselves in giving paintball players excellent value for money and a great experience when playing paintball. 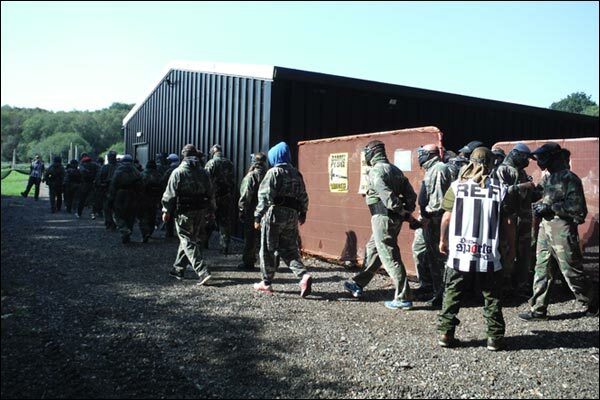 As paintballers ourselves, we want you to keep coming back to play paintball so we go above and beyond to make your day a fantastic one. 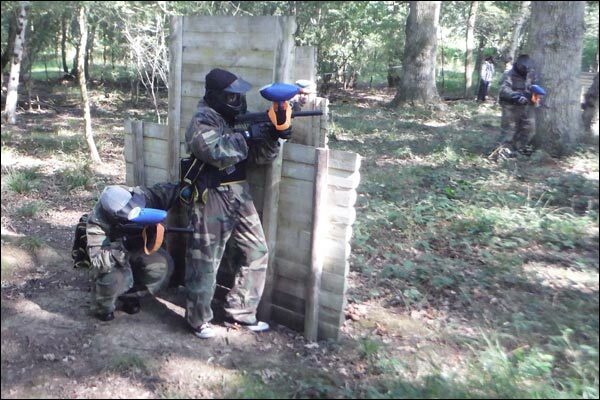 A new feature we offer is Tactical Laser tag. 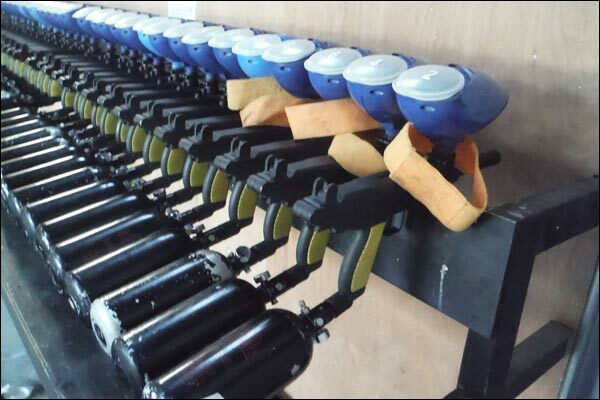 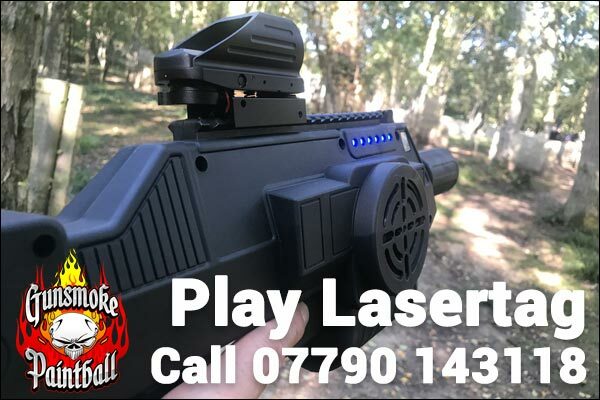 We are the first site in the UK to be using the new state of the art Battlefield Rifle Pro laser tag marker. 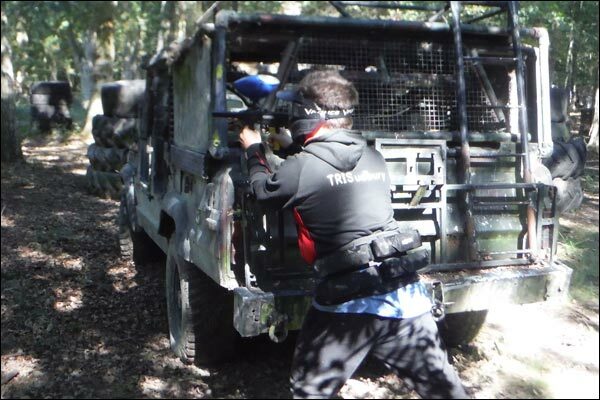 These are far superior to other types of laser tag markers that are used by other sites. 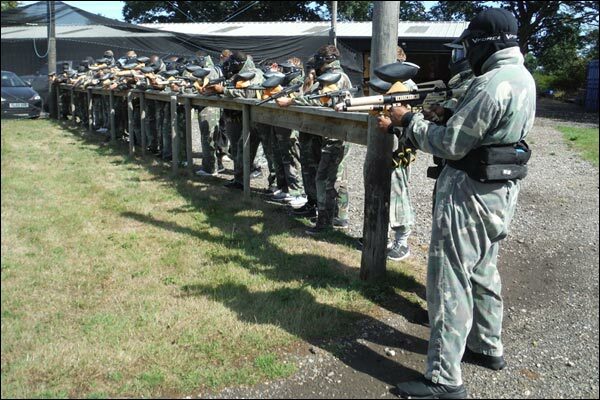 Accurate to an inch, you have to aim to hit your opponents and with a range of weapon settings to choose from, you can be sure of varied and exciting game play. 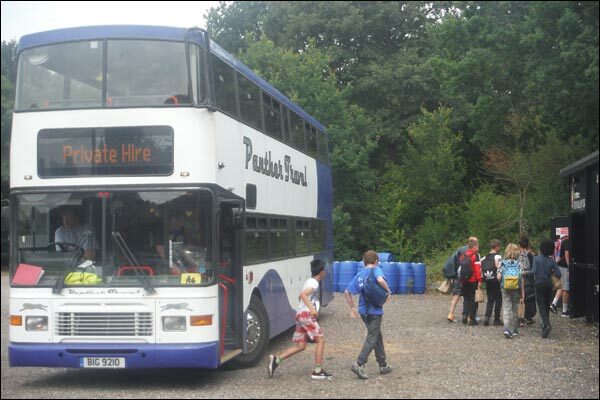 This is not Quasar and should not be confused with being the same thing. 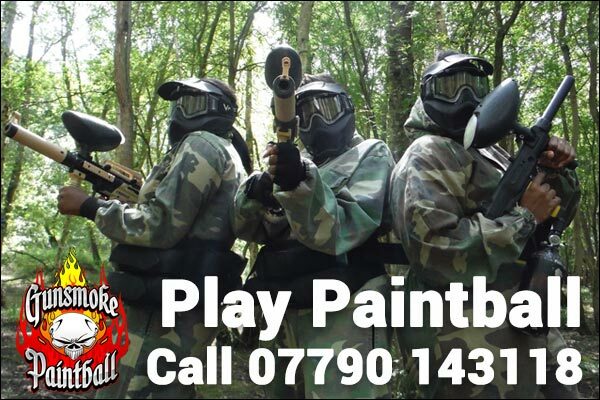 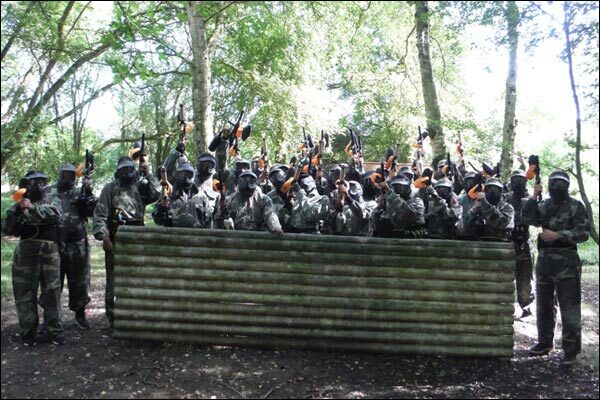 For all bookings and enquries, please contact Julie on 07790 143118 or alternatively email Julie@gunsmoke-paintball.co.uk. 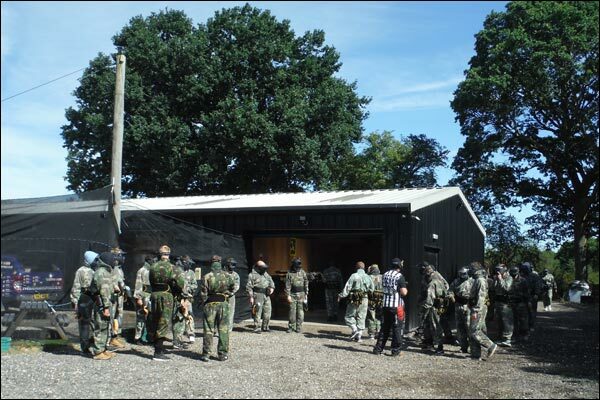 Click on the links below for more information on all the activities we offer. 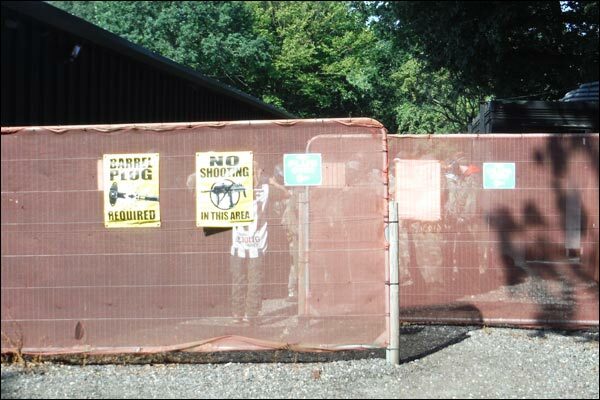 On entering the main part of the site, we have a large area devoted for parking along with a purpose built indoor safe zone. 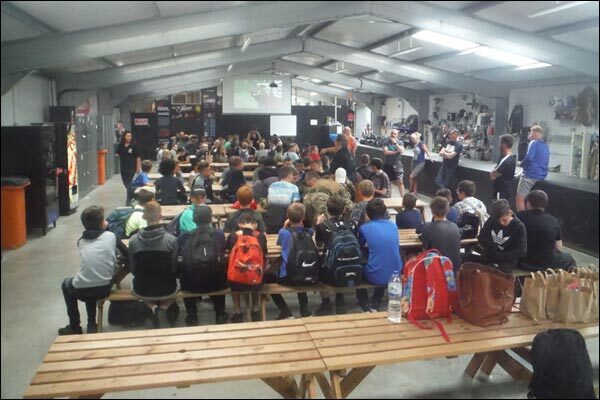 Our safe zone has everything you will need for your day, a briefing area, tables and seating, catering facilities, vending machines, toilets and even a site shop! 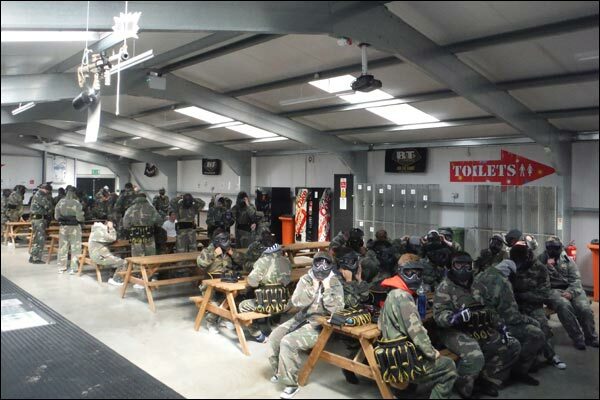 We will sign you in for your day and issue you with your kit and have the safety briefing. 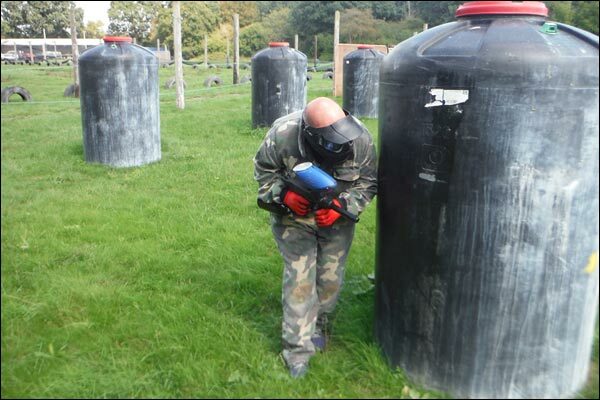 All markers are kept in a special area outside of the safe zone. 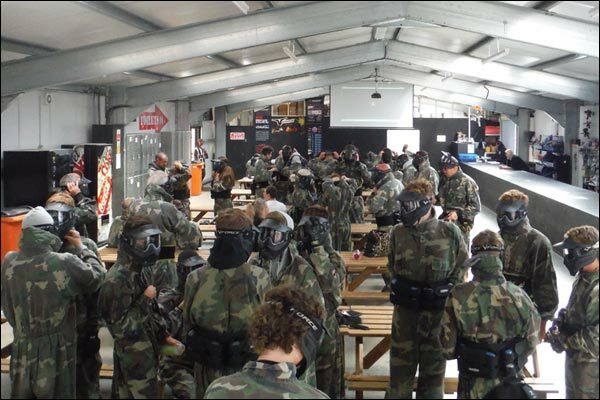 On exiting the main safe zone, you are directed into another area where no player is allowed past without their goggles on before they are able to exit further. 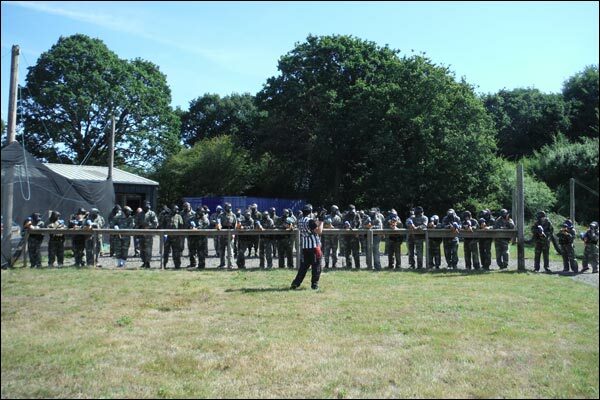 After this players are led into the marker zone and markers are issued and players get to try them out on our firing range before being led out onto the paintball fields for the games to begin. 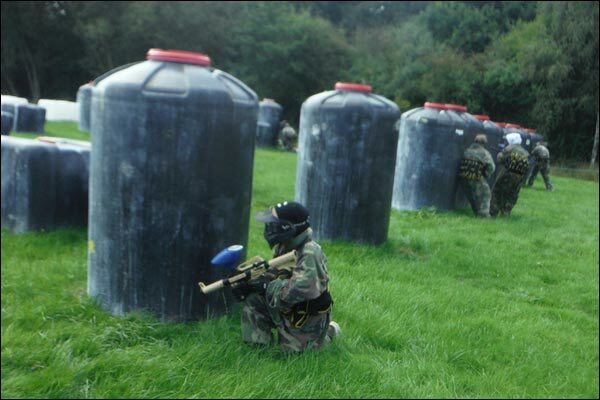 There is a selection of fields for play at the site. 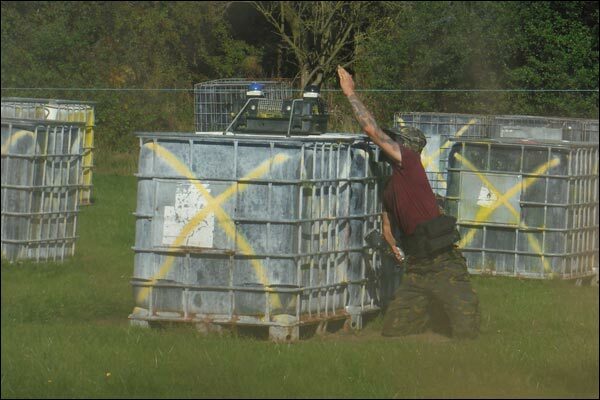 These have been designed to be exciting and challenging to play. 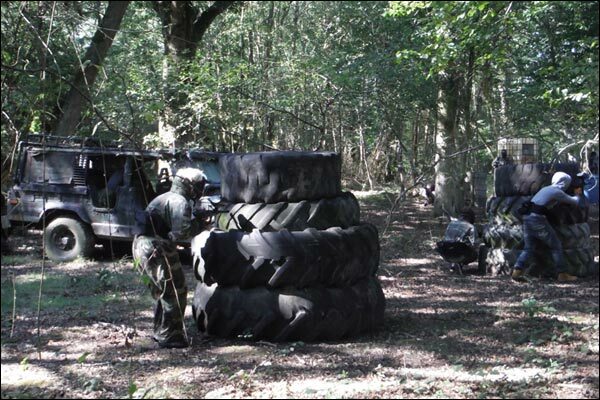 Games include Criss Cross (capture the flag), Duel (buzzer game), Sabotage where you have to plant a device in the helicopter, Band of Brothers/Kill Confirmed (where you collect armbands), Supply drop, CQB (Close Quarter Combat – field in development) and Convoy.